We lose water daily through sweat, urine, stool, and even breathing. We can also experience above-average water loss in summer heat, in higher altitudes, and during exercise. Older adults are at risk of dehydration simply due to the fact that their sense of thirst is not as apparent to them as it was in younger days. These water losses need to be replenished by, you guessed it, consuming water. How much water? Well, there’s a simple do-it-yourself test for that which we’ll get to a bit later in this article. But, for now, just remember that your water intake must equal your water output. If it doesn’t, then you risk dehydration. What are the benefits of drinking water? Maintains equilibrium so that your body parts can function properly. Your body relies on water for digestion, absorption, circulation, saliva creation, nutrient transportation and body temperature. Even a drop of 2% in body water content can disrupt these functions. Impaired brain function is another side effect of dehydration. Mood and concentration can suffer and headaches can increase. Maintains weight. Water is not a weight loss remedy. However, it acts as an effective substitute for the calorie intake from juices and sodas. Water also flushes out toxins. Helps prevent fatigue. If your cells are low on electrolytes and fluids, they don’t function properly. Fatigue and cramping result. Helps to keep your skin pliable. Helps prevent constipation. Proper amounts of water ‘lubricate” your gastrointestinal tract. In other words, it helps to keep things moving, especially when combined with fiber. Helps to decrease the formation of kidney stones. Though not scientifically proven, it is thought that hydration can help to decrease the formation of kidney stones. Helps to decrease hangover symptoms. Alcohol tends to force out more water from your body thereby causing headaches, fatigue, dry mouth and thirst. It’s recommended that you drink a glass of water in between drinks and then have another full glass right before bedtime which will help to reduce or avoid those symptoms. Helps prolong your workout. Maintaining hydration helps to prevent cramping and joint sprains. How do I know if I’m dehydrated? And what effects can it have on me? Have you ever noticed when you haven’t had enough water, your mouth feels dry and pasty? The reason that happens is because your salivary glands need to be hydrated in order to produce saliva to keep your mouth moist. There are two different types of salivary glands in our body, major and minor. The major salivary glands include the parotid and submandibular glands. The parotid glands rest on the sides of our face along the jaw and the submandibular glands are under the jaw. There are hundreds of minor salivary glands throughout our mouth. The job of all these salivary glands is to produce saliva. The amount of saliva that is produced is related to our state of hydration. If we are really hydrated, the salivary glands produce plenty of saliva to keep our mouths moist and comfortable. In a dehydrated state, less saliva is produced causing the mouth to feel dried out. If dehydration becomes significant, there is also a risk of getting an infection inside the salivary glands, referred to as sialadenitis, which can cause pain and swelling along the infected gland. The treatment for sialadenitis is hydration, hydration and hydration! Often times, warm compresses, sucking on sour candy, massaging the inflamed gland and antibiotics are needed to treat the infection. Another area of our body that can be affected by dehydration is our sinuses. We have 4 different pairs of sinuses inside of our head along the front of our face: frontal, maxillary, ethmoid and sphenoid sinuses. Our sinus cavities are lined with cells called cilia that look like small hairs. The job of the cilia is to move back and forth to encourage mucus out of our sinuses. When we are dehydrated, the mucus inside of our sinuses becomes thick, making it harder for the cilia to push the mucus along. If the mucus stays inside of our sinuses longer than it should, we are at risk of developing a sinus infection, also called sinusitis. By staying hydrated, the mucus inside of our nose stays thin and moist, allowing the cilia to do their job and push debris, bacteria and viruses out of our sinuses to prevent infection. So, keep in mind that when you develop any signs of a cold or nasal congestion, stay hydrated and keep those cilia moving! So, how much water are we supposed to drink each day? Remember the age-old suggestion that we need to drink 6-8 glasses of water daily? Well, it’s not exactly been scientifically proven that we need to consume that much. But, what is true is that we do need to drink water; we do need to stay hydrated. And there’s a simple, do-it-yourself skin test that can be performed that will indicate whether you are sufficiently hydrated. It’s a test that measures skin elasticity (skin turgor): just pinch the skin on the back of your hand. Keep it pinched for 2 seconds then release. If the skin rapidly falls back to form, you are properly hydrated. If it doesn’t immediately fall back to form, you are dehydrated. Dr. Lana B. Patitucci is Board Certified in Otolaryngology-Head and Neck Surgery and Facial Plastic Surgery. 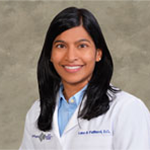 She is trained in all aspects of general and pediatric otolaryngology including endoscopic sinus, otologic, head and neck, and facial plastic surgery. Her hospital affiliations include Abington Surgical Center, Blue Bell Surgical Center, Chestnut Hill, Einstein Medical Center Montgomery, Mercy Suburban as well as Roxborough Memorial Hospital.